Inspired by artists like Rabindranath Tagore, Ramkinkar, KG Subramanyam and Paul Klee whose work has a striking simplicity, this is Ramya’s first solo exhibition. “The concept of art itself interests me as art made see the world differently, the freedom to think beyond the box. For me art is full of emotions and a feeling more than just words and how being extraordinary is fun.” Ravi Cavale who mentored Ramya Shree for this show says that this is a platform for young artists below 30 in and around Bangalore. “Once the applications are screened by the coordinator, the three curators look at the work and if all of us agree that the artist is good, then we give them a chance to exhibit. One of us mentors the artist for each program. In this case I discussed with her as to what and how she must showcase and since she already had a body of work, we decided to work on this urbanization concept. We give them a few months’ time to get ready so they can get the art work ready in line with the theme. 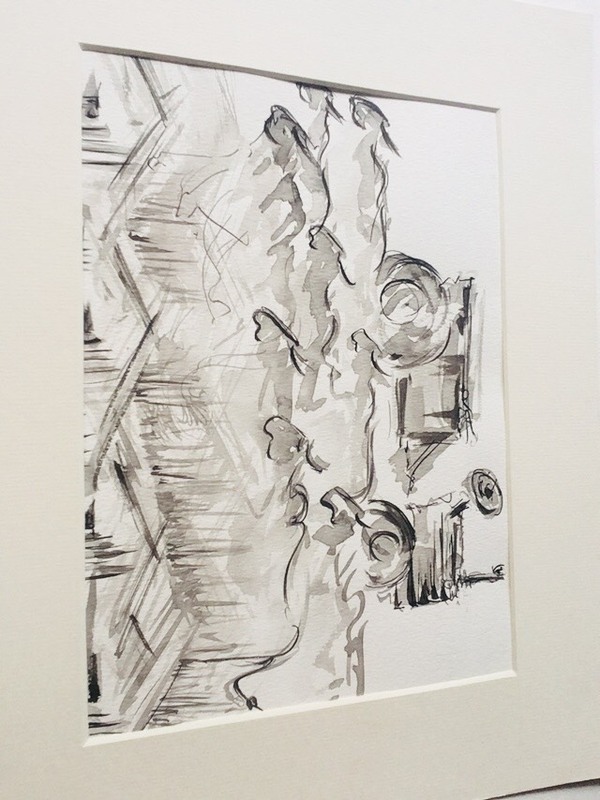 Also this is a great platform as this is a solo show for a new artist which is quite rare.” It was Ramya Shree’s simple lines and her small town influences coming from Hindupur that reflects a nice mix of urban and rural in her art that appeals to the curators. “My upcoming show URBANIZATION is where I have done works based on the radical changes occurring presently in cities and in villages, using simple brush strokes. We had a curator artist meet where the curator discussed about the art works done by the artist and the connectivity of each work and which has to displayed after one another and the plan will be decided.” In her free time Ramya enjoys traveling, listening to music and spending time alone when she can discover herself. Looking ahead she says she plans to create a pathway to continue her profession as a successful artist and hopes to open an art cafe and a school.